A SEEEP é constituída pelas 12 Escolas do CLUSTER e por 18 Universidades Chinesas de topo, na área da Ciência, Tecnologia e Engenharia seleccionadas pelo Ministério de Educação Chinês. 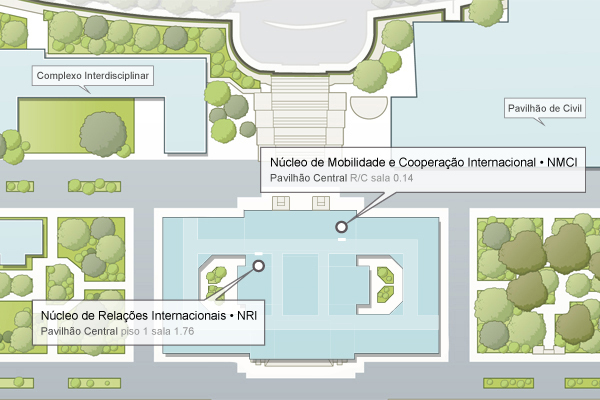 As 12 Instituições do CLUSTER: Kungliga Tekniska högskolan (KTH, Suécia), Aalto University (Helsinki, Finlândia), Technische Universiteit Eindhoven (TUe, Holanda), école Polytechnique Fédérale de Lausanne (EPFL, Suiça), Institut Polytechnique de Grenoble (Grenoble INP, França), Politecnico di Torino (Polito, Itália), Karlsruhe Institute of Technology (KIT, Alemana), Technische Universität Darmstadt (TU-Darmstadt, Alemanha), Université Catholique de Louvain-Katholieke Universiteit Leuven (UCL-KUL, Bélgica), Trinity College Dublin (TCD, Irlanda), Universitat Politecnica de Catalunia (UPC-BarcelonaTech, Espanha) e Instituto Superior Técnico (IST Portugal), participam no SEEP. As universidades Chinesas envolvidas no projecto são: Tongji University, Harbin Institute of Technology, Tianjin University, Tsinghua University, Xi’an Jiao Tong University, Dalian University of Technology, Huazhong University of Science and Technology, Southeast University, Zhejjiang University, Shanghai Jiaotong University, South China University of Science and Technology, University of Science and Technology Beijjing, Beijing Jiatong University, China University of Petroleum, China University of Mining and Technology, Beijing University of Posts and Telecommunications, East China University of Science and Technology e Sichuan University. No âmbito desta plataforma, o primeiro Sino-European Workshop on Engineering Education decorreu em Shanghai de 4 a 5 de Setembro de 2010. O IST organizou o segundo Sino-European Workshop on Engineering Education, que teve lugar no Salão Nobre do IST nos dias 24 e 25 de Maio. Escolas de doutoramento conjunto em áreas científicas de excelência nas Universidades Chinesas e nas Escolas do CLUSTER. Para mais informações, poderá consultar o site do CLUSTER.